Finally! I can make pancakes. I don’t know about you, but in my previous attempts to make pancakes I always failed. It wasn’t until I realized that maybe, just maybe, that’s why the box comes with instructions that should be followed. If your anything like me and couldn’t make pancakes I challenge you to read the instructions and follow the exact measurements. 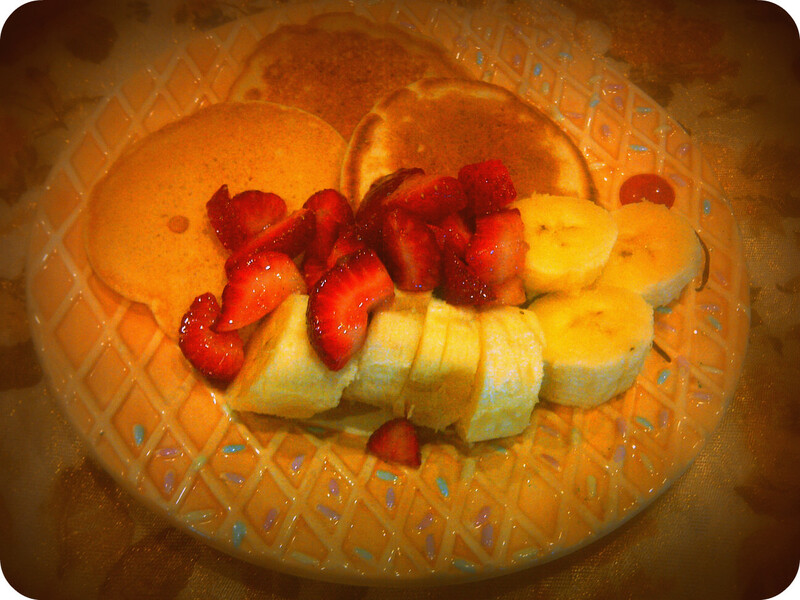 After practicing a couple of times then you can get creative and add bananas into the mix or whatever fruits you like. Being that it was my first attempt in a long time I stuck to simple and just added a bit of nutmeg and fruits on the side. Finally, my future love interest can have a decent Saturday or Sunday morning homemade brunch!